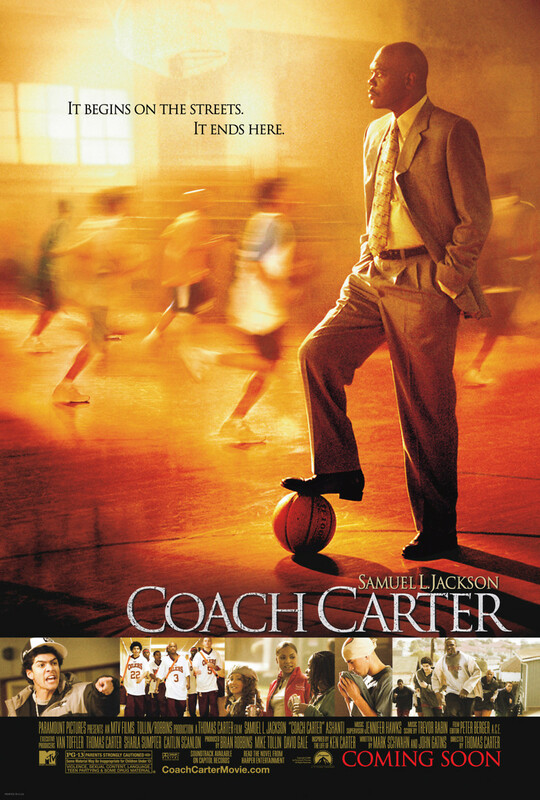 Ken Carter is asked by his old high school to come back home and coach the boys basketball team after the program has gone downhill. He is not only unhappy about their play, but he also finds their academics to be unacceptable. Creating strict guidelines for the players, the young men at first rebel against their new coach but then discover his ideas work and get on board. After the begin to win, the team starts to slack off in their responsibilities and academics. Angered, Carter suspends the entire team and locks the doors to the gym until they improve. Carter must fight the anger of the entire community to teach the boys that they need to rely on more than just their athletic skills.